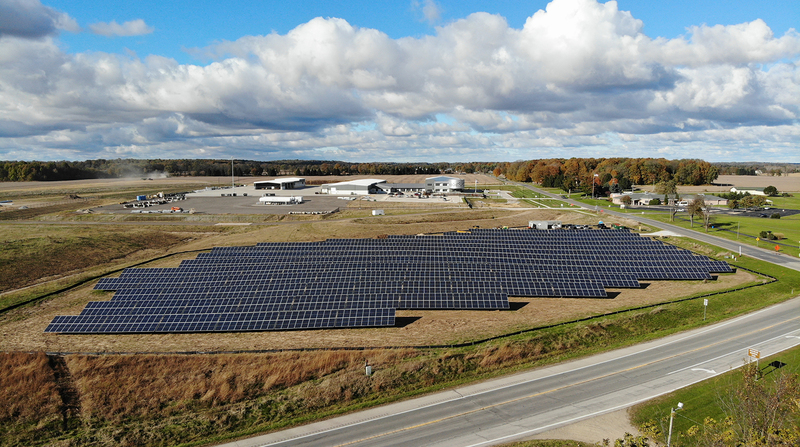 The SpartanSolar array in Cassopolis, Michigan, is located at the intersection of M-60 and Decatur Rd. on the grounds of Midwest Energy & Communications (MEC) headquarters. The array was completed and began operation in December 2018 after 12 months of planning and just four months of construction. It is part of nearly four megawatts of solar energy installed in the MEC footprint in 2018.